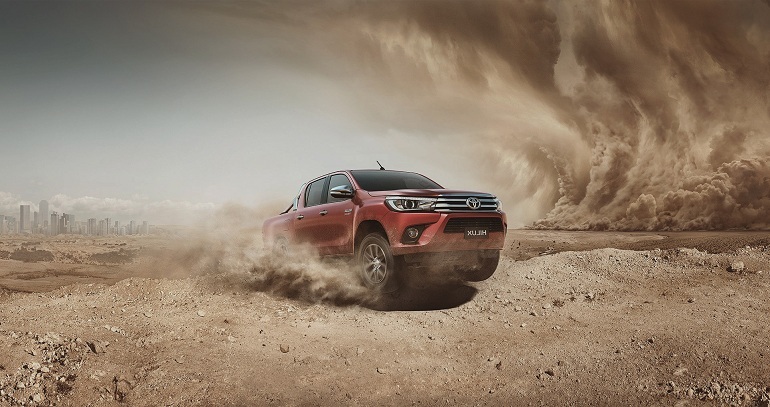 Toyota has been topping the vehicle sales charts in Australia for a couple of years now with their HiLux, and that’s to be expected. The HiLux has become Toyota’s landmark vehicle in Australia, and it’s widely used by tradesmen, commuters and off-road enthusiasts alike. The main reason for its popularity is the sheer reliability it offers, as well as the comfort and durability. Regardless, most off-road enthusiasts opt to make a few adjustments to the stock HiLux, mainly for protection and clearance purposes. One of the most sought after Toyota HiLux accessories Australia wide are the lift kits. The great thing about the HiLux and its popularity is that there is no shortage of Toyota HiLux accessories Australia wide. The most popular lift kits among off-road HiLux drivers are: HiLux body lift kits, level lift kits and suspension lift kits. Each and every one of these kits has a different purpose and varies in complexity of installation. So in order to make a well-informed decision, it’s best to get familiar with the three types, and how they differ. The suspension lift kit’s main purpose is to provide more clearance. It does so by replacing the rear and front leaf springs with springs that lift the vehicle by up to 15cm. This oftentimes results in improved handling as well. Suspension lift kits come with a few accessories and parts like lifted knuckles, CV spacers, cross-members, sway-bar drop bracelets, lower skit plates, etc. Generally, these kits are complicated and somewhat difficult to install, so users usually opt for having a professional mechanic doing it for them. A full-body lift kit will lift your HiLux by up to 7cm from the chassis. These are probably the most common lifts performed on off-road HiLux vehicles and their main purpose is to allow the use of bigger tyres. This is mainly because the wheel-well is raised by the lift. You also get slightly more clearance from these kits, but their main advantage is the ability to house bigger tyres. Generally, body-lift kits include strap brackets, rear and front bumper brackets and body spacers. These lift kits are used on HiLux models who have their rear side a few cm higher than the front side, which isn’t ideal for off-road cruising in particular. That being said, people that understand this opt to level it out by investing in a level lift kit. The level lift kit is the most affordable out of all lift kits and it doesn’t require much modification done to the HiLux except for the lower strut mount extensions.